Switched from iOS to Android: Why Switch from iOS to Android? Switched from iOS to Android - The one-year marker. I switched from iOS to Android for a few different reasons. One reason was price, the price of the iPhone was just out of my reach, by a long way. 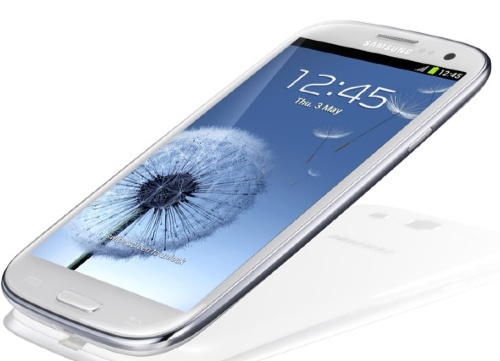 I have seen that there was a well-known Apple journalist that had changed to the Samsung Galaxy S3 and was very impressed with it. I wanted to get a phone with a larger screen and have a phone that in my price range would do more things. So one year later following my switch from iOS to Android I can tell you that I'm still very pleased with my decision. I haven't been able to get the phone upgraded to the latest version of the Android operating system and it looks like the phone carrier will not be pushing out the update any time soon. That is one of the bad things about the Android method of system updates, but there is a way to get around it. The solution to this problem is to root the phone and to put something else on there and I opted to go for CyanogenMod. The latest version of this CyanogenMod version of the operating system I have been using has been very stable and I can't even remember the last time that the phone gave me any sort of weird problem. To be honest, I miss very little from iOS and this is not just because I still have my iPhone and my iPad to play with from time to time. I never did much of the video editing on iOS even though it was possible and did a great job of it. So it doesn't bother me too much that the Android video editing software is absolute rubbish. I do record audio into the Samsung Galaxy S3 and into my Nexus 7 although I prefer to use the iOS application called Twisted Wave. The audio recording software on iOS is much better, but Audio Evolution Pro does work well enough and I have used this to record a number of AudioBoo David Allen Wizardgold podcasts. I can record the audio well enough despite the fact that there is the automatic gain control on the Android devices, I would prefer to set the gain manually within the application. A couple of times I have managed to clip the audio recording and I just hadve to be careful how close I put the microphone to my mouth. The best thing about changing to Android from iOS is the fact that I have alternative keyboards that I can use. On the occasions that I go back to iOS and use it for entering data it annoys me to see that the letters on the keyboard don't change to show whether you are typing in a capital letter or a lowercase letter. The Android keyboards are much better. Even better still, with Android it is possible to use alternative keyboards such as the keyboard called SwiftKey or Swype. For a long time I was using the SwiftKey keyboard because of the spooky way that it knew which word I was going to type next, this made it incredibly quick to enter text into my Android devices. The only thing was, was that I was not terribly happy with the way that the dictation worked with regards the British English punctuation. So I started to use Swype instead and I find that I really prefer how the dictation works and sometimes I'm amazed at how fast I can get text into my Samsung Galaxy S3 or Nexus 7.